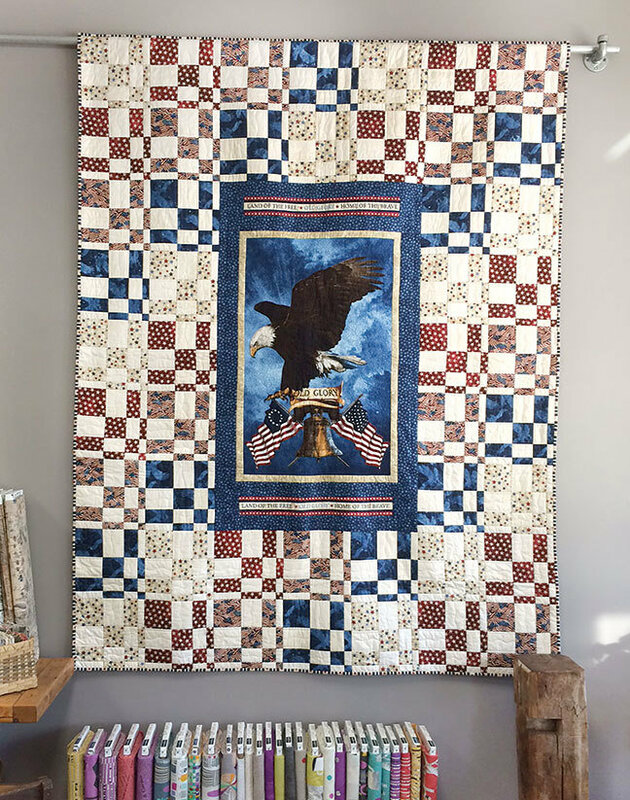 If you are looking for the right pattern to set off your favorite patriotic panel, here it is. The background blocks are made using strip sets which make the piecing easy to do. The pattern comes with instructions to make the quilt with or without the inset panel. 70" x 90" finished size.